The Criminal Justice Program prepares students for an exciting and challenging career in the field of Law Enforcement, Criminal Investigations, and/or Forensic Science. Students in the Criminal Justice Program will get a broad overview of the criminal justice system. It will provide competency-based instruction in crime scene investigations, professional ethics, evidence handling, fingerprinting, case preparation, constitutional rights, court systems, emergency vehicle operation, and police combat shooting. Students are expected to follow law enforcement unit procedures, wear a BDU (Battle Dress Uniform), and complete physical training. 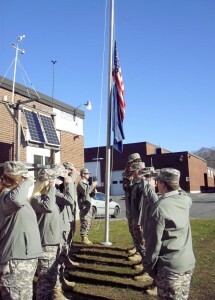 Parts of the physical training and curriculum are based on the Maine Criminal Justice Academy requirements. Many units are supported with federal, state and local law enforcement personnel.